Inkjet Printable Fabrics for waterbased inks. Vibrant colour, suitable for quilting, pillows and any sewn fabric application. 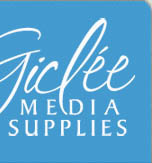 Subscribe to the Giclée Media Newsletter for the latest on featured products and latest news. 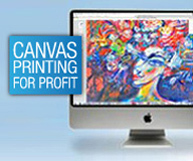 Now print wallpaper, cutout figures, backlits and trade show signage with a normal wide format printer. New Revivawall is a permanent yet removeable self-adhesive woven fabric, prints with bright colors and is water-resistant, opens up new business opportunities for wide format owners. Read more or place your order. NEW! eco-solvent canvas available now. InkjetPro Eco-Solvent Commercial Canvas - A cotton poly semi glossy canvas designed for commercial canvas printing as it is cost effective and has longer 20 m rolls Order Now! Magiclée® Torino 17M & 20M Canvas has been added to our existing range of canvas products and is now in stock. Finally a Desktop 13" Photographic Printer that has large ink cartridges, roll feed and WIFI connectivity! Face Mount Acrylic using Slickrock Metallic Pearl or InkjetPro Glossy Film. Giclee Media Supplies in conjunction with Inkjet Lab begins its face mount acrylic services featuring both metallic pearl and Pearlescent finishes. Unlike UV signage printers that do not feature accurate Black & White, longevity or wide colour gamut, our acrylic face mount media uses the full gamut and longevity of Canon 12 colour pigment inks registering deep into the pro photo colour space. Something no silver process can replicate. The result is finished with aluminium backing, 3 or 4.5mm acrylic facing and the option of either Matt or Polished sides. Inkjetlab provides either a fully finished result on Moab Slickrock Metallic 260 or InkjetPro Glossy Film 225 delivered to your door or GMS provide the media and profiles for printing on this media which is then face mounted and acrylic backed by Inkjet Lab. Face mounted acrylic is complimentary to canvas both being frameless media. This is what the modern photographer with a high mega pixel and high gamut camera needs to best display their work and gain a competitive advantage. Get the look of Cibachrome with Moab Slickrock 260gsm. 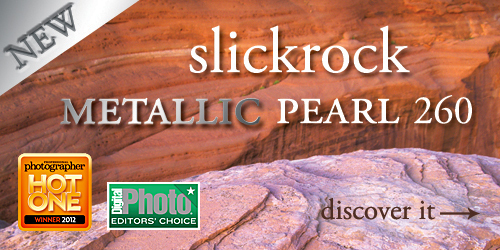 'Slickrock' has a ultra-smooth pearlescent finish with a metallic sheen. It's of medium weight (260 gsm) and is acid free. 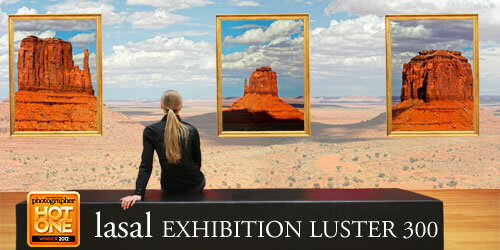 For the ultimate presentation face mount under acrylic or glass. Discover It! 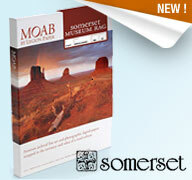 From Moab paper, this is a unique 300gsm acid free lustre with pearlenscent finish. Brilliant neutral white. High reliability, triple inkjet receptor coating for maximum colour gamut on Epson and Canon printers. Outstanding roll to roll consistency makes this the only museum grade resin coated paper in Australia. Need to use face mount acrylics or hot laminates without ripples or air bubbles? 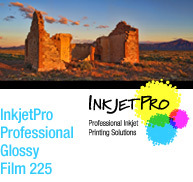 Order Professional Glossy Film today. 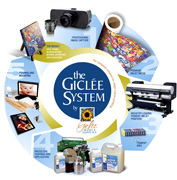 What is the Giclée System? Our Giclée System is a step by step process that is your guarantee for archival life.